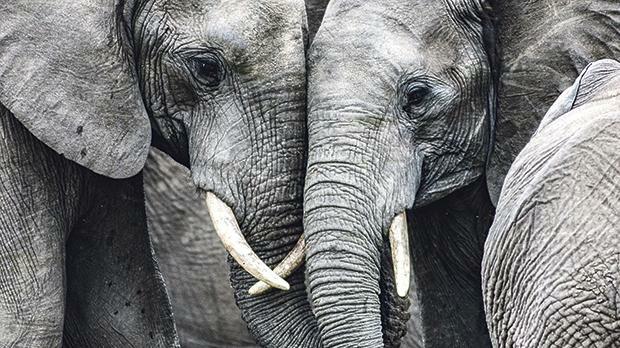 The few remaining giants, such as rhinos and elephants, are in danger of being wiped out very rapidly. Mankind is driving a mass extinction that could obliterate large swathes of life on Earth for millions of years, scientists have warned in a new study. The US National Academy of Sciences has published a report in its journal, Proceedings of the National Academy of Sciences (PNAS), on October 15 called ‘Mammal diversity will take millions of years to recover from the current biodiversity crisis’. The report speaks of the current sixth mass extinction of animal and plant species caused entirely by humans that is as severe as any of the previous five extinction events in the past 450 million years. It is moving so rapidly that natural evolution cannot keep up. This is horrifying. Although this has been known for some decades, governments mostly do not care and the public at large is only now becoming aware of it. The period of time since the last mass extinction 66 million years ago, that killed the dinosaurs, is known as the ‘Age of Mammals’. Our own species is a child of this age. Most mammal species, just like us, give birth to live offspring, have females that secrete milk for the nourishment of the young and live in family-based communities. The study shows that it would take three to five million years for nature to recover the anticipated mammal species losses of the next 50 years. The losses of the last 130,000 years, the majority of which have taken place in the last 500 years, would optimistically take five to seven million years to be restored by nature’s evolutionary processes. The first to recover over this timescale would be the small-body mammals and these would populate the niches in the eco system left vacant by the extinction of the larger animals. The large body mammals, such as the size of elephants and rhinos, would take longer to come to exist again. By way of example it would take 10 million years for terrestrial mammals to evolve from the size of a horse to the size of an elephant. The authors of the study expect their timescale predictions will be exceeded as humanity will be slow to react. Moreover, the new large mammals may look nothing like the ones we are killing off. Once we exterminate the snow leopard, for example, the species will never exist again in the same form anywhere – extinction is forever. This realisation should hit us like a ton of bricks and stop us in our tracks. When we speak of biodiversity it is not just about counting the number of species. It is also about the evolutionary history that has brought each species to be. We can liken evolutionary history to a tree of life. Evolutionary uniqueness for a species is akin to a branch. The longer the branch the more the species has changed since splitting from shared ancestors. With the advent of humanity the Earth has lost some of the longest branches on the evolutionary tree. Disturbingly we are exterminating species with whom we share common ancestry. Scientists are perplexed by how flippant people are about the loss of other sentient species, representing millions of years of evolutionary history, and yet we make such a song a dance about ancient human artefacts that are inert and a mere few thousand years old. More than one-fifth of mammals are threatened with extinction and the other four-fifths are in steep decline. This will make deep cuts into the mammalian tree of life from which our own species has sprung. 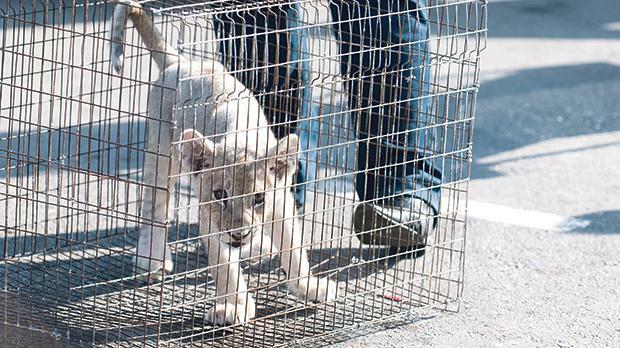 In South Africa there are 200 farms breeding around 9,000 caged lions annually for bones, body parts and to be shot by trophy hunters. Meanwhile, there are only 20,000 wild lions left in Africa. Human migration over past centuries has caused the extinction of megafauna such as the mammoth, giant sloth and the sabre-toothed tiger. Climate change caused by humans, hunting, poaching, pollution and destruction of habitats (forests and oceans) all contribute to animal extinction. The massacre of wild mammals continues without restraint to this day. Japan sanctions the slaughter or capture of 22,000 dolphins and small cetaceans annually. The most infamous of these fishing fleets is the one at Taiji. Whole pods of dolphins and whales made up of extended family members are brutally killed between September and March each year, turning the water in the cove at Taiji bright red. Japan was until recently also permitted to annually go to the Southern Ocean to kill 333 minke whales. It is now leaving the International Whaling Commission to become a rogue State. The Faroe Islands allow the beaching and butchering of 1,000 pilot whales and Atlantic white-sided dolphins annually; Iceland has resumed commercial whaling activity this year and the kill is anticipated at 200 whales annually; Norway has increased the number of whales that can be slaughtered annually to 1,278; in China and South Africa there are 250 farms where 6,500 tigers are bred in cages and killed for their skin and body parts. There are 200 farms in South Africa alone breeding around 9,000 caged lions annually for bones, body parts and to be shot by trophy hunters. To put all this in perspective you should note that there are 20,000 wild lions left in Africa. There are only 50 wild tigers left in China and no more than 4,000 tigers in the wild altogether on the planet. “Although we once lived in a world of giants: giant beavers, giant armadillos and giant deer, we now live in a world that is becoming increasingly impoverished of large mammalian species. The few remaining giants, such as rhinos and elephants, are in danger of being wiped out very rapidly,” says Prof. Jens-Christian Svenning of Aarhus University Centre for Biodiversity, Denmark. Evolution deals in species and population numbers with little concern for individuals. On the other hand, we humans value individuality. Each member of other species also values individuality and would rather live, in their own habitat and social order, than die. We can talk of species recovering but all the individuals, families, communities of other species that we have killed are gone forever. Tony Juniper, director of Advocacy and Campaigns for the World Wildlife Fund, UK, said this study was “another warning sign that the world is in crisis”. He warned that “as we tear apart the web of life, unique animals and plants that have evolved in different ecosystems, are disappearing forever. “We need to urgently halt this loss of natural diversity, not only because of the importance of wildlife for its own sake but also because human societies are as embedded in that web of life as much as tigers, bumblebees and primroses” and “the more we damage nature’s fabric the more we imperil our own future”.